Marketing is a HUGE money maker for marketing companies and a TRAGIC waste of money for business owners like yourself. Because most don't know how to do it right. But that's not going to be you. You are going to be informed. You are going to have a clear direction for every future marketing campaign. Your marketing campaigns are going to stop disappointing and start succeeding. Because I've been marketing and advertising for 7 years. Non-stop. Because I've spent 10's of thousands of dollars of my own money on Facebook, Twitter, and LinkedIn. Because my campaigns used to be disappointing. Now, it's important to note, in the world of advertising, $13k is a paltry amount. Many business owners spend orders of magnitude more money than this. But what's important is not how much money I spent, but how much I made. And that metric is exciting. These Facebook ads single-handedly returned 12 times the money spent in top-line revenue. 12 times! Here's what. Each one of those 5.8 million people taught me something about my marketing. They taught me what worked and what didn't. Through these dozen marketing campaigns, and hundreds of individual ads, I gathered information on what was clicking with who, where my customers were located, and whether those customers bought anything from my small business. Now, with all that under my belt, I’ve stepped back and looked at what exactly made for an effective marketing campaign. It all comes down to 4 critical questions you can ask before you click "publish" on your next marketing campaign. Stop Asking "How Much Money Should I Spend on Marketing?" This is a terrible question. Establishing a marketing budget can be a prickly task for the small business owner. Uncertain of where to place their efforts, what their messaging should be, how much money to spend, and what kind of return on investment to expect are a few of the gating factors. Companies can spend tens of thousands of dollars on marketing efforts, for little to no return. Those businesses typically have a “clever marketing idea” and run with it instead of taking time to think beyond "how much should I spend?" But the question, "how much should I spend?" is a bad one. It's usually translated to mean, "how much money do we have in our marketing budget?" and has nothing to do with how much it costs to acquire a customer or how much profit you hope to make on each (more on this later). Furthermore, marketing and advertising agencies LOVE this question, because they'll happily spend as much money as you give them, throwing together a meaningless campaign that gets you little to no results. Don’t believe me? Go create a random Facebook campaign and throw $1000 a day at it. Watch the money burn! 1. Ask, How Much Can You Spend Capturing a Single Customer? Okay, this is still a budget, kind of. But there's an important distinction. "how much of that profit am I willing to spend to capture my next customer?" If it costs you $60 to build a widget that you sell for $100 and your average customer buys 10 widgets... that's 10 widgets times $100 or $1000 in top-line revenue minus $600 in costs leaving you with $400 in profit. Sweet. Most small business owners have that much figured out. But how much does it cost you to capture a single customer? How much money have you spent on marketing to date, and how many customers have you landed because of it? These are the questions that will lead you to the promise land. The old question, "how much should I spend on this marketing campaign?" doesn't help you at all. You could very well spend $100,000 and land one customer, at which point you would go back to feeling frustrated and disappointed. But if, instead of looking at the entire campaign, you look at how much you spend acquiring a single customer, you can find out quickly whether your campaign is working. That's because, if you start a campaign, spend $500 and only land 1 customer, you've already spent $100 over your profit and are going to go out of business. But if, on that same campaign, you've spent $500 and have landed 2 customers, well then you still have $150 in profit and can ramp up that campaign to capture even more customers. This is a rudimentary example, but you get the point. Figure out how much money each customer brings you, on average, over their entire lifetime and determine how much of that you can spend to capture them. Once you build a campaign that spends less per customer than that "capture amount" each, you can let that campaign rip and start raking in the cash. 2. What Are My Customers Desires, Goals, Fears, Frustrations? Too often, marketing campaigns are built with the company or product (not the customer) in mind. A flyer that talks about the company’s history. An email campaign that describes all the services a company provides. An advertisement that lists features of the company's product in hopes that it will impress a passerby. Customers don't care about your features. They don’t care about your company history. They don't care about how long it took you to develop. They don't care how hard it was to solve the problems that brought your product to life. They appreciate it, but they don't care. What they do care about it solving their problems. They care about making their life easier or more entertaining. In other words, your marketing campaign needs to show your customers benefits, not features. Your customers have desires, they have goals, they have fears and frustration. As a business owner, it's your job to make certain your marketing campaign addresses these desires, goals, fears, and frustrations head on. Your customers may be looking to be entertained, have a cheap meal, look hot, make an impression (to their friends, family, coworkers, or boss), gain financial success, etc. Whatever it is, you've got to put yourself in their shoes. You must anticipate what they need... what is going to solve their problem or let them sleep better at night. Then, speak to them in a language that gets their attention. Tell them you understand what they're going through, and lead them to the solution (ideally, your product or service). 3. What Stage of Awareness Is My Customer In? Not all customers are ready to buy. Some don't know about your solutions. Some don't even know there's a problem. Because if you're selling a golf club that eliminates slicing for a first-time golfer, they may not even know what a slice is and will just find the coolest looking club in the store. But if, alternatively, you tell them that first time golfers lose hundreds of dollars every year hitting balls into the trees and ponds on even the easiest golf courses, but your club will ensure they will hit the ball straight, they may just consider buying your club over the competition. A customer that doesn't know they have a problem needs to hear different language than a customer that's trying to solve their problem. Problem Unaware - Customers have no idea there's a problem and aren't looking for a solution. Problem Aware - Customers realize they have a problem but don't know what solutions exist to fix it. Solution Aware - Customers are aware they have a problem and know what solutions exist to help them solve it. So, before you start your next marketing campaign, be sure you know which stage of awareness your customer is in and craft your message, your imagery, your audio, and anything else in your campaign accordingly. Now, I know you probably want to attract customers in every stage of awareness. It may even be tempting to try to speak to everyone. But in this case, speaking to everyone is the same as speaking to no-one. Choose one type of customer and focus on them exclusively. If you need to create 3 different marketing campaigns (one for each stage of customer awareness), that's fine... just don't mix and match. Knowing what stage of awareness your customer is in will help you tailor your marketing campaign exactly to them. It will ensure your message speaks to them instead of falling on deaf ears. 4. Where Are My Customers? I don't mean where do they live (though that can be helpful to know). I mean, where are your customers congregating? Where are they going to fulfill their desires, to achieve their goals, to allay their fears and remove their frustrations? Knowing the places (physical or virtual) that your customers visit is critical to your message. You must go where they go. You must be where they are in order for them to hear you. Are your customers local, out-of-town, on the internet? Are they watching TV, at a football game, or on the beach? Where your customers are drastically affects the type of marketing you choose to use, and in turn, the budget you will need to have. A Facebook ad can have a variable (and typically low) budget where as a Super-Bowl ad is going to cost far more. Some marketing campaigns are clever. They win awards. They generate millions of hits on social media. But they don't increase sales one bit. Your marketing campaign can be clever. There's nothing wrong with that. But it damn well better answer the fundamental questions above. Do I know how much money I'm going to be spending to acquire each customer, and how much each new customer will return over their average lifetime with my company? Does my marketing campaign address my customers desires, goals, fears, and frustrations? What stage of awareness is my customer in (Problem Aware, Problem Unaware, or Solution Aware) and does the language, imagery, sound, etc. make sense from that perspective? Finally, am I placing my marketing dollars in a location that my customers will actually see and be receptive to my message? Once you can answer those 4 questions, you can create your budget and begin your marketing efforts. Even if you have answers to all the questions above, your picture of the customer may not be complete. I can tell you that, even with 5.8 million marketing data points behind me, my marketing campaigns always need time to mature. And the way I mature them is by starting small. Take a small amount of budget and run a test for a few days to a week. When I'm running a Facebook ad, I run a 3-day test at $5.00 per day. If you are getting expected (or better) results on the money spent, go all in. If you are getting some results, but not enough, make a small tweak and run your test again. If you get no traction whatsoever, save the rest of your marketing budget and repeat this exercise using the information gathered from your test. If it's a complete failure, you may need to find a new channel. 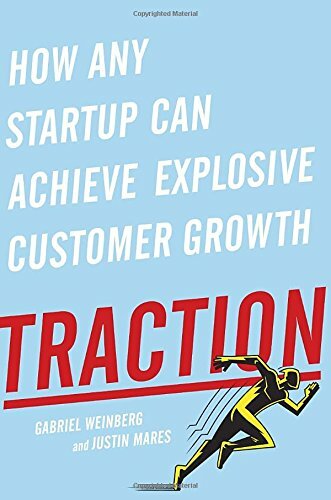 Note: If you're not sure what other marketing channels exist, check out this book (Traction: How Any Startup Can Achieve Explosive Customer Growth) which uncovers 19 different marketing channels and dives into detail on how to approach each. Just a few simple questions to ask yourself before spending money on yet another frustrating marketing campaign that doesn't get you results. Whereas you used to wake up to disappointment over lackluster results, you can now wake up and put a smile on your face. It took me years of experimenting and 5.8 million people to tell me what I was doing wrong, and what I was doing right. Hopefully, you can avoid these ineffective approaches and drive your next marketing campaign to a massive success. Keep this article handy when it’s time to put together your next campaign. Run through the questions above. If you do, you should find that you have much better results and much more control over your budget… ultimately gathering far more customers for your efforts in the future.